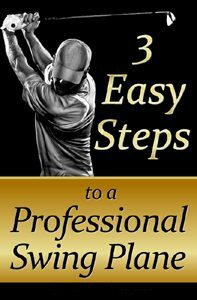 3 Steps To A Professional Swing Plane Program! On this page you can download this program and view the videos for the drills that are featured in this system (click here to see the videos and download them). But please read all instructions CAREFULLY! To Download The Easy Swing Plane Program simply right click here and save the file to your computer. Important Note: The 3 steps in this program appear easy. 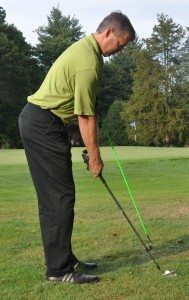 But unless you do each step correctly and verify this by video analysis you will not improve your ball striking consistently. So to help you do this I’m offering you the opportunity to send me a video of your swing after each step so I can check you are on the right track. Instructions on how to take advantage of this offer are below. 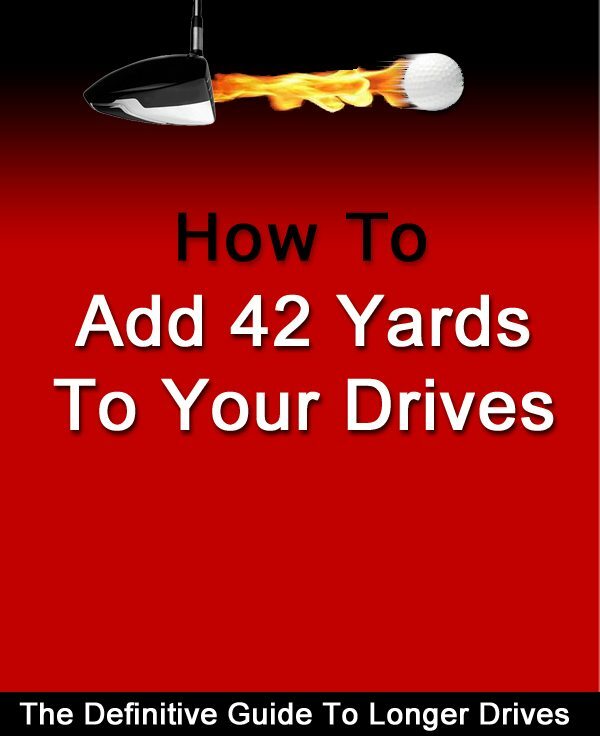 As a customer of the easy swing plane system I want to give you my Add 42 Yards ebook. 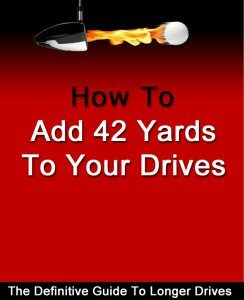 This book has a 5 day program in it to help you add 42 yards. And although it may sound far fetched adding that much distance to your drives it’s not when I break down how you’re going to do it. ….I am going to offer you the chance to get me to personally critique video of you swinging. I believe that within 3 video critiques you would have greatly improved your swing plane. Normally I charge $50 per video critique. But like I said, because I want you to succeed with this I’m giving you the chance to get 3 video critiques from me for just $50 — that’s a $100 saving! To order these critiques simply click ‘Add To Cart’ button below and place your order. Then when you’re ready, send me a video of your swing and I’ll get back to you within 48 hours (weekdays) on how you’re getting on, and what you need to do to improve. In your first email to get your video critique put this in the subject: “Easy Swing Plane Video Critique #1” and we’ll go from there. To download all the videos for the setup Click Here. These bonus videos below are originally from the 15 Minutes To The Perfect Golf Swing program. 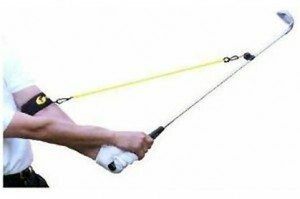 That program would be a perfect compliment to The Stress-Free Golf swing and will help you to perfect this one move much faster and with less effort. To find out more about the 15 Minutes To The Perfect Golf Swing program simply go here.